Chelsea Manning enlisted in the United States Army in 2007. Back then, she was known as Bradley Manning and struggled with gender identity disorder. This identity crisis made it difficult for Manning to fit into the military’s masculine and patriarchal environment. Throughout Manning’s career in the military, it was clear that internal demons and mental health issues made it nearly impossible for her to feel welcome or included in the military community. She ultimately settled into a position as an analyst where she could utilize her tech-savvy skills. The military relied heavily on Manning, as she was one of only a few intelligence analysts at the time. Manning, after receiving Top Secret/Sensitive Compartmented Information security clearance, was deployed to Iraq in 2009. There, she had access to some of the military’s most sensitive information – much of which was unsettling because it revealed provocative information about the American involvement in the Middle East. By early 2010, Manning had managed to find a source of comfort as she continued to struggle with her identity as a man. This source of comfort was Wikileaks. Manning, feeling safe and understood by the mysterious Wikileaks figure she frequently communicated with, decided to leak classified and sensitive military documents to expose the vicious underbelly of American military operations in the Middle East. Wikileaks published the leaked documents over the course of the next year. Manning was arrested in May of 2010 by the Army’s Criminal Investigation Command for her role in the Wikileaks scandal. She was charged with a variety of crimes under the Uniform Code of Military Justice and the Espionage Act. Manning was then transferred to the Marine Corps Base in Quantico, Virginia, where she was to be held while she awaited trial. Manning was confined to a maximum security section of the Quantico detention facility in May 2010. She was designated as detainee with a “Prevention of Injury” (POI) status. POI status is one level below suicide watch. This essentially allowed the government to keep Manning in solitary confinement and restrict her rights as a prisoner. Manning’s attorney argued that this was a way for the military to preemptively punish Manning for her alleged crimes, despite the fact that she had not been convicted of a crime nor had a trial date even been set. Most non-violent defendants, whether they are members of the military or not, are detained in medium security facilities and permitted to interact with other inmates while they await trial. Since Manning received a POI designation, her pre-trial detainment at Quantico was significantly different. The following is a basic recounting of what Manning was subjected to day in and day out. During her detention at Quantico, Manning was confined to a six by twelve foot cell for nearly 23 hours each day. The cell was equipped with a single bed, a mattress with a built-in pillow, a blanket, a toilet, and a water fountain. She was not permitted to have sheets, a pillow, or any personal items. No other inmates in the detention facility were within Manning’s view, though it is reported that she could occasionally hear others speaking softly. She was also forced to eat each meal alone in her cell. Since guards were prohibited from engaging in conversation with her, Manning had little-to-no meaningful human contact during her time at Quantico. The only real human interaction in occurred when, acting pursuant to POI protocol, guards checked in on Manning to ensure that she was alive. This happened every five minutes. When the guards asked if she was okay she was required to answer in some way. Manning had no meaningful contact with other human beings, but was forced to acknowledge her situation over and over and over again. It is important to note that Manning was still struggling with her gender identity and desire to live as a woman. Manning was alive, but not okay. Manning was required to adhere to a strict schedule while at Quantico. She was woken up sharply at 5 AM each morning. On weekends she was allowed to sleep in until 7 AM. She was not permitted to go back to sleep until 8 PM. If she attempted to sleep or started to doze off in her cell guards would intervene. Some days the guards would force her to stand to prevent her from sleeping during the day. When it was time for lights out, Manning would be forced to strip down to boxer shorts and give her clothing to the guards. She was forced to strip and sleep naked on at least one occasion. This happened after Manning joked with guards that if she wanted to harm herself – which was the alleged rationale for designated her as POI – she could do so with flip flops and underwear. That night she slept without clothing and was forced to stand naked for an inspection the following morning. How did Manning pass the day while at Quantico? While Manning had little-to-no communication with others at Quantico, she was allotted very limited opportunities to engage with the outside world. This included limited time to watch television. During the week, Manning was given TV access for one to three hours. This expanded to three to six hours over the weekend. Television stations were limited to basic cable stations in the DC metro area. While at Quantico, Manning was allowed to request up to 15 books and/or magazines. Manning was required to request each publication by name and wait for it to be approved by the detention facility’s “literary board.” If a book and/or magazine was approved, Manning could ask someone on her approved list of visitors to send it to the facility directly from a reputable online service like Amazon.com. Books and/or magazines sent from an individual would not be accepted. Manning was also granted what is known as “correspondence time.” Between the hours of 7 PM and 9:20 PM each evening, Manning was given a pen and paper so that she could write to her friends and family. She was also allowed to shower for up to 20 minutes during this time. In addition to sending letters, Manning was permitted to receive limited mail. She could only receive correspondence from an approved list of individuals. When unapproved mail was received, Manning was required to sign a form rejecting it. The mail was then returned to the sender or destroyed. Very limited visiting hours were held at Quantico on weekends on holidays. All visitors were required to obtain prior approval and could only visit between the hours of noon and 3 PM. Many of these activities took place right in Manning’s cell. She was, however, granted up to one hour of exercise time each day. Exercise time involved taking her to an empty room and allowing her to walk in circles. She normally walked in a figure eight pattern. When she grew tired of exercise hour she was brought directly back to her cell. She was prohibited from exercising in her cell at all. For a week period in January 2011, Manning was stripped of the limited rights she did have in the detention facility. She was placed on suicide watch and forced to spend each day in her cell. Manning’s attorney filed a complaint, once again arguing that her treatment was essentially punishment for her actions as a military intelligence officer. She was ultimately downgraded back to POI status. Manning submitted a formal request to be removed from POI status in March of 2011 but was rejected. She continued to live in these conditions until public pressure forced the government to transfer her to a medium security facility in April 2011. Outrage spread across the country when the conditions under which Manning was being held were made public. Many called her treatment cruel and unusual punishment. 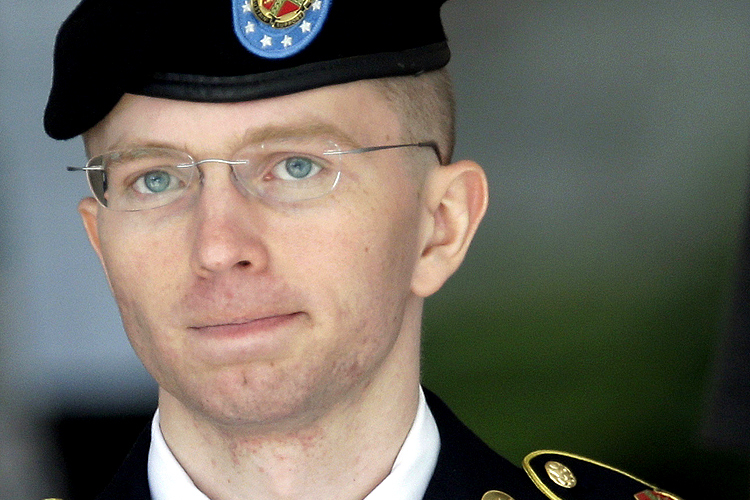 The legal community gathered and issued a statement that condemned then-President Obama’s claim that Manning’s treatment was “appropriate” and that it met the country’s “basic standards.” The statement, which was signed by 295 legal scholars, argued that she was forced to endure “degrading and inhumane pretrial punishment.” Shortly thereafter, Manning was transferred to a medium-security prison and permitted to live amongst the general jail population.